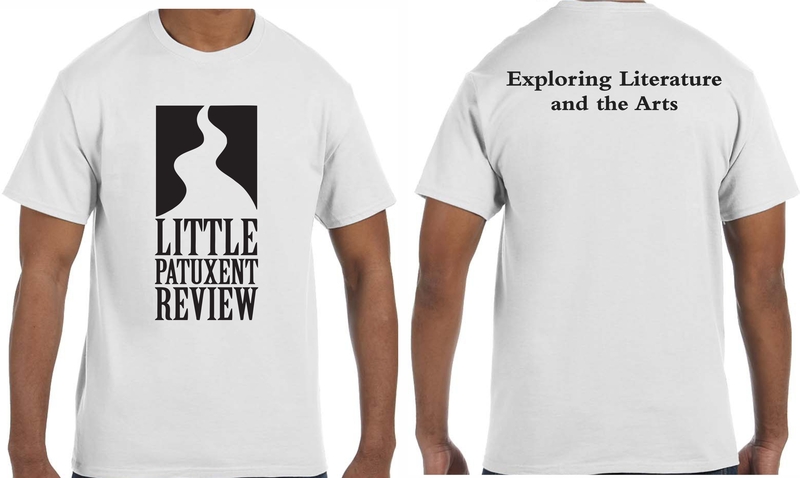 You can pick up the latest Little Patuxent Review and save shipping! Now at Barnes and Noble at the Columbia Mall! Check out this great store that also has Starbucks coffee shop. Address: The Mall in Columbia, 10300 Little Patuxent Parkway, Columbia. Next month Little Patuxent Review will release its Winter Issue 2019. 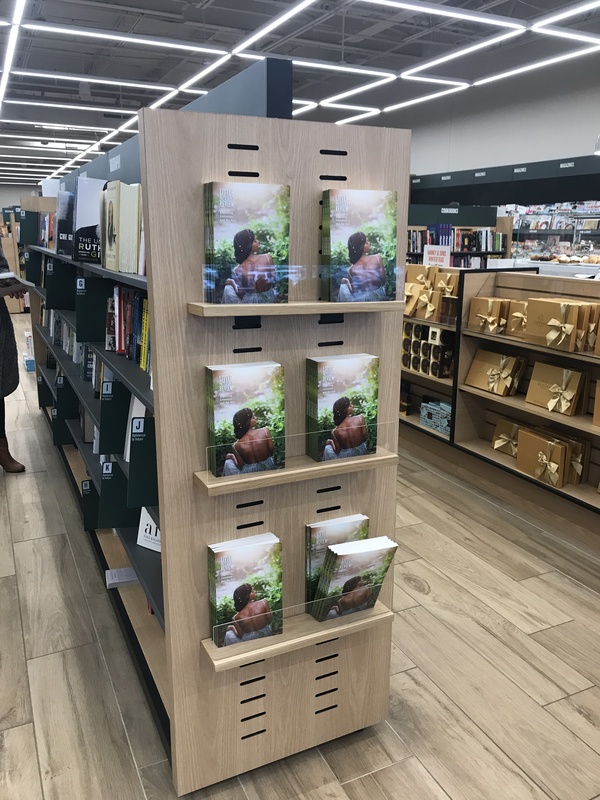 In this post we ask one of LPR’s fiction readers, Kathryn Wilson, some questions about her experiences as a writer. Kathryn Wilson is a fourth-generation West Virginian and graduate of Pacific University’s MFA program. Her work has been featured in Fluent, The Appalachian Writers Anthology, and Welter. 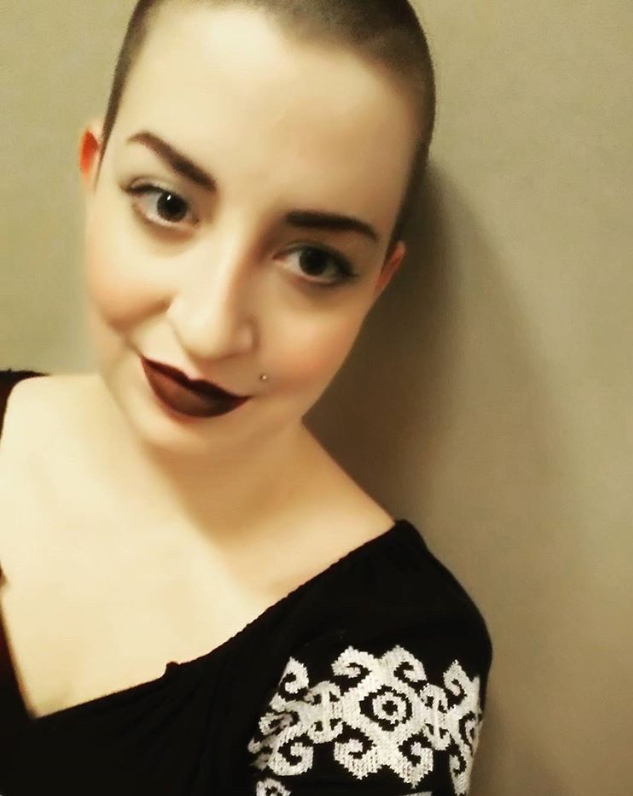 She lives in Maryland, where she is currently at work on her first short story collection, No More Nowhere. Q: How is work going on your short story collection, No More Nowhere? Very slowly. I find that I do a lot of collecting—kind of absorbing—sounds, sights, feelings that become a part of my stories. Then I have a short burst of intense work where I get most of it done. I’ve had to learn that this is the way I work despite it looking like I’m not working most of the time, and that I just need to do what I can to make those short periods of work more fruitful as best I can. The collection I’m working on is linked flash-fiction pieces divided into three distinct sections: the first is the story of a young girl growing up in a family of snake handlers in southern West Virginia, the second is a revenge story of a woman hunting for her kidnapped sister in a post-apocalyptic ravaged version of the Appalachian mountain range, and the third is still in a very nebulous, abstract place but is steeped in the spirituality and obsession with the occult that enthralls generations of Appalachians. The first section is a revised version of my graduate thesis, the second is one I’ve been working on for the past year, and the third part remains to be sorted out. Like most writers, I find it hard to carve out time to write with all the daily obligations I face. But I have faith in my process and those little bursts of hard work. The stories you carry inside will always find a way to emerge. Q: How do you balance your creative writing with you professional editing, which is in legal marketing? I am fortunate enough to have an hour-long lunch each day, so I spend a lot of that time writing down ideas or observations. Or I use the time to read craft essays. One of the best I’ve read recently is “Place” by Dorothy Allison. Place is extremely important to my work because most of it is set in a re-imagined version of where I grew up, in a holler in West Virginia. I also always carry a notebook of some kind, and can’t recommend this enough. I remember what my mentor Kellie Wells told me: if you’re a writer, you’re always writing. Whether it’s just sitting and observing people or sketching out a plot in your head, you cannot separate this aspect of yourself from everyday life. Don’t feel guilty when it seems like everything else in your life comes first. Remember this inseparable part of yourself and know it’s there and always will be. Q: Why did you decide to become a reader for LPR this fall? Editing is my passion almost as much as writing is, and I try to seek out these opportunities whenever possible. Through pure serendipity I met Lisa Lynn Biggar, the fiction editor, and she offered me a spot on the team. I am so thankful to her for taking me on. I love being able to see work come in and to delve into it immediately. There are so many beautiful things being sent to us: so many different voices and styles. It’s a powerful feeling to dip into this sea of stories. There is so much out there. Q: It’s only been a few months, but has being on the selection side of things given you any new insights into what makes a good submission? For me to love a story and really vouch for it, I have to feel it. In my gut, in my spine, in my heart—it has to affect me in some way. It’s trite, but I can’t think of a better way to say it: I have to be transported completely out of the present and put into the story. To stop hearing the noises around me, stop having thoughts about chores I need to do, to just be completely absorbed in the story and forget everything else. It’s what I first felt as a child, and it’s the feeling I always look for when I’m choosing what goes into the magazine. Q: Any other final comments for us or advice for writers you’ve learned the hard way? One piece of advice that meant a lot to me came from another one of my grad school mentors, Jack Driscoll. He said, good writing will always find a home. I firmly believe this. If your heart is in it, if you put in the hard work, if you edit judiciously, your work will find a home. Don’t give up. Learn from your rejections and make it a point to do better next time. And also remember that sometimes a rejection comes down to space: literary magazines have very limited space to work with and the choices we make can be very difficult. Keep doing the good work, and never stop submitting. Readers have recently alerted us to the fact that our email (editor@littlepatuxentreview.org) appears to have been hacked on November 20. If you received any strange emails from us, do not open them or any attachments. We did not send those emails. We apologize for the situation and are working to resolve it. Please find the attached doc! Contact me if you have any further questions. My name is Anthony Moll. 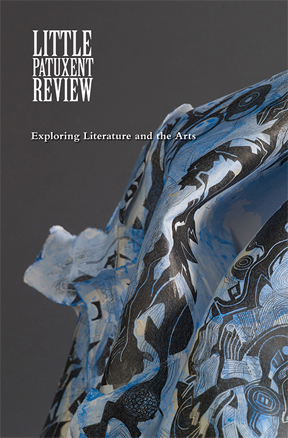 I’m a writer and educator here in Maryland, and I’m the guest editor for the Winter 2019 issue of Little Patuxent Review. I’ve been looking forward to working with this celebrated journal since Editor Steven Leyva first approached me with the idea, and I’m excited to announce that submissions are officially open for the issue. Our submission deadline is October 24. 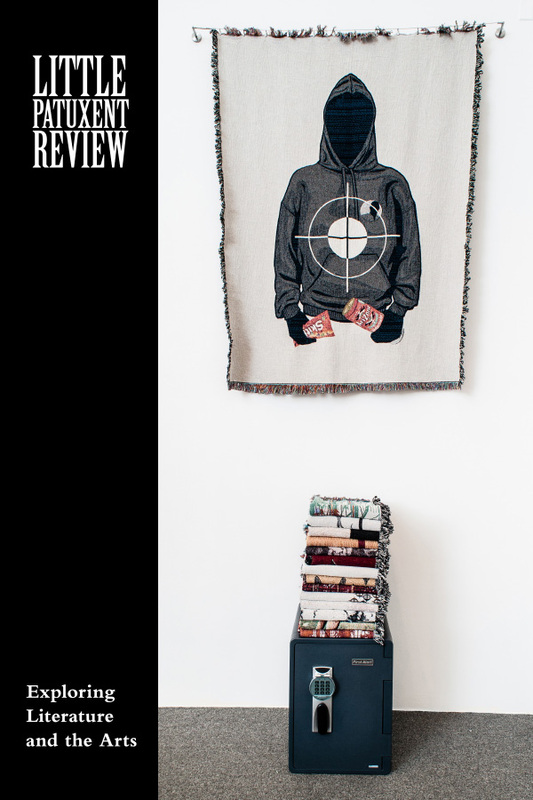 Half of the issue will be the usual thoughtful, well-curated selections chosen by the editors of LPR. They’re a group of talented writers and readers with a variety of interests and tastes. They’re building an unthemed issue for Winter 2019, so if you’ve been holding onto smart, fully-realized work that’s perfect for LPR, now is the time to submit. Also, I’ll be curating a folio of work from LGBTQI+ writers from Maryland for the issue. Here too, the call for submissions has no specific theme, and the work will still be reviewed by the LPR team. I really want to show off both the talent and the diversity of voices that Maryland’s LGBTQI+ communities offer. I’ll be soliciting writers and poets with whose work I’m already familiar, but I also want to encourage LGBTQI+ writers whose work I haven’t yet heard (including those who have yet to publish any work) to send us your best writing. If you identify with any of those letters (or SGL, two-spirit, or anything found in the ‘+’), feel free to let us know in your cover letter. It’ll be helpful for us when it comes time to organize the issue. At Little Patuxent Review, we value all our submissions and do not take it for granted that poets and writers are willing to entrust their work and themselves to us. The process of going from a batch of submissions to a final journal is naturally then a very difficult one, both for the time involved and for the gut-wrenching decisions choosing one piece over another. Our readers are the unsung heroes of this process. 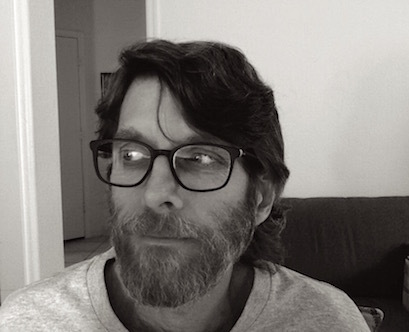 In this next Q&A, we ask Dan Crawley, an LPR fiction reader, about his experiences as a reader. And thank you, Dan, for all your work and service to LPR and the Maryland literary community. Dan Crawley’s stories have appeared or are forthcoming in a number of journals and anthologies, including New World Writing, Jellyfish Review, CHEAP POP, New Flash Fiction Review, and North American Review. He is a recipient of an Arizona Commission on the Arts creative writing fellowship and teaches fiction workshops and literature courses at various colleges and universities throughout Arizona. Q: Why did you decide to become a reader for Little Patuxent Review? A: Lisa Lynn Biggar, Little Patuxent Review’s Fiction Editor, was kind enough to invite me to come aboard as a reader for the Winter 2017 issue. She knows my work, and I’m glad she thought I could assist in selecting stories. And I’ve enjoyed every minute of reading such diverse and remarkable stories. Q: Based on your experience with LPR, do you have any advice for fiction writers who are submitting to journals? A: Many journals (print and online) accept simultaneous submissions, so it is tempting to “carpet-bomb” a story out to multiple journals that you’ve never heard of before. I think if you want to raise your percentage of acceptances, know the kind of writing a journal is looking for before submitting. Once you have studied the stories in a current issue (and back issues) of a journal, you’ll have a good idea if your story may be a good fit. Also, glaring grammar issues can thwart any chance of publication. First readers and editors do appreciate serious and professional writers. Little Patuxent Review (LPR) will host its annual reading at The Writer’s Center on Saturday, March 17th from 2:00 – 4:00 PM. We will feature artists from our Winter 2018 issue, including poets of the Black Ladies Brunch Collective (BLBC) and other readers of fiction and nonfiction. View the work of our featured artist, Paul Rucker. Join us for this exciting event and the opportunity to meet the authors, as well as editors and other staff of LPR. Refreshments will follow to start your St. Patrick’s Day celebrations early. The Winter 2018 issue is available for purchase at this link. Highlights from the Winter 2018 issue are available at this link.